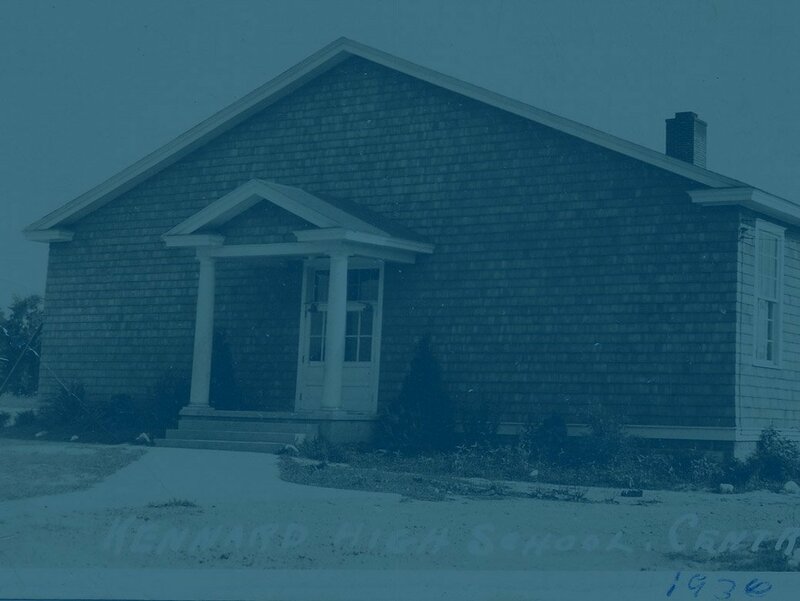 The history of the Kennard School begins before there was a school named “Kennard.” Kennard High School was named after a woman dedicated to education. Lucretia Kennard came to the eastern shore by way of Philadelphia in 1903. In that day, schools were segregated by race. Black schools, if they existed, were poorly funded. Teachers were very difficult to find and the pay was low; $25 for an entire school year. Each one room school had between 25 and 30 students, comprising 1st through 7th grade. Black students used old text books after the white schools had discarded them. There were never enough supplies for the number of students who attended. Some students walked a distance of 5 miles to get to school, no matter what the weather was. Lucretia Kennard, who knew the value of education, saw the situation on the Eastern Shore in 1903. Kennard also saw tremendous opportunity and potential that the students had. In 1907 Kennard was appointed “Supervisor of Colored Schools” in Caroline County. Then, in 1919, Lucretia Kennard was appointed to “Supervisor of Colored Schools” in Queen Anne’s County. Kennard recruited teachers, developed curricula and set high goals for the schools to achieve. Kennard also was instrumental in inspiring the community around her to support her cause. Through that support, every black school in Queens Anne’s Count had an active PTA. Kennard dedicated her life to establishing a black high school. The closest school during her time was a school called the “Centreville Colored Industrial High School”. However, the school was nothing like what was available to white students. Black students needed a real high school, a comprehensive high school. 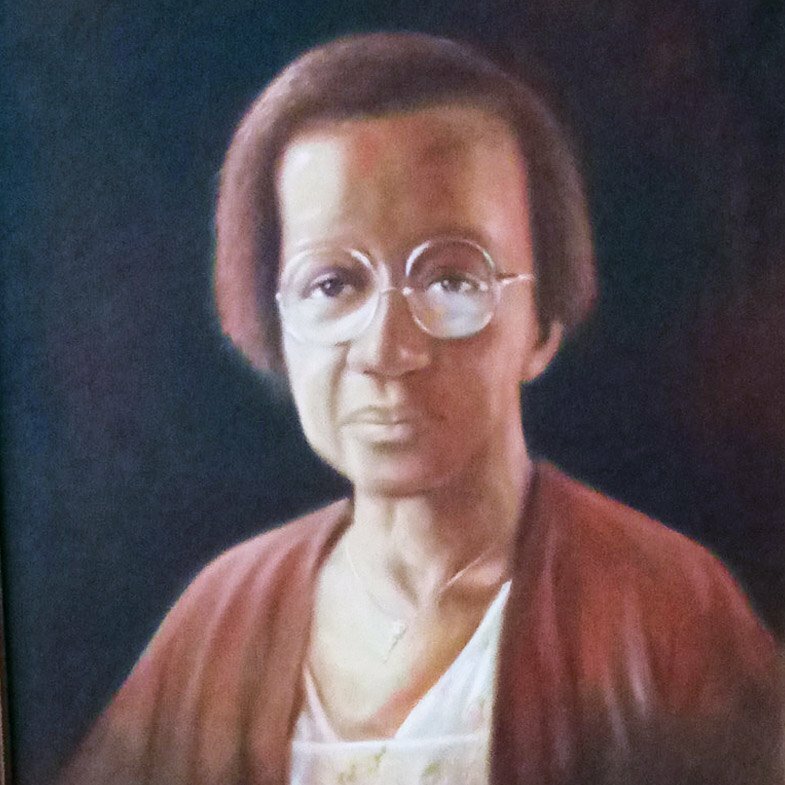 Lucretia Kennard Daniels (she married during this time) worked with local black citizens to raise money to purchase the property for such a high school. Unfortunately, she died in 1933, before the school was constructed. 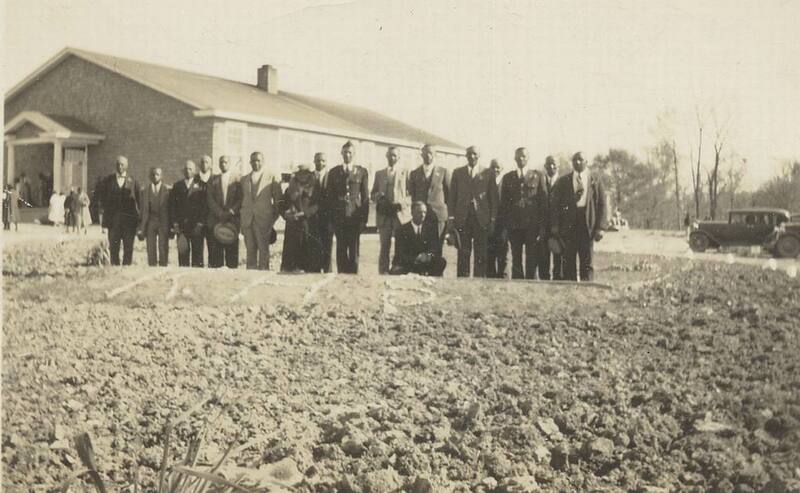 In 1936, Centreville’s high school for black students was ready to open, and was named, “Kennard High School”, in Lucretia Kennard Daniels honor. Kennard High School was not the brick building that is now Kennard Elementary. Rather it is the wooden shingled building across from Kennard. Because there was not bus transportation for black students, some high school students had to live in a boarding house in Centreville, rather than in their own homes. In the early 1950’s, before all schools in the United States were racially integrated, Maryland established “separate but equal” schools and the first portion of the new Kennard High School was constructed (1951). But, as was often the case, the black schools were not really equal to white schools. There was initially no cafeteria or kitchen in the new Kennard High School. The students’ meals were prepared in the Home Economics room. A few years later, however, additions were made to the building, which we now call Kennard Elementary. In 1960 there were four high schools in Queen Anne’s County: Kennard High School, which was for black students only, and three high schools for white students: Centreville High School (which is now the Board of Education Office), Sudlersville High School (which is now Sudlersville Middle School), and Stevensville High School (which is a portion of what is now Stevensville Middle). In 1966, the new Queen Anne’s County High School opened, consolidating and racially integrating, all high schools in the county. But because construction was delayed, only part of the new building was ready. For the next year, high school students spent half of their day at the new building in their Vocational and Science classes. The other half of the day, they took their English, Social Studies, etc. classes in the brick building at Kennard (there were even classes up on the stage in the gym), in the old wooden Kennard building, or in the Catholic Church’s Corbaley Hall near Centreville Elementary School. By the fall of 1967, the new high school was finished and there was finally room for all high school students in one building. Kennard then became an elementary school. Ninth graders would not return until 1975. From 1975 to 1979, Kennard was for 4th, 5th, and 6th graders – it was called Kennard Intermediate School. When the new Centreville Middle School was opened in 1979, the fourth grader moved to Centreville Elementary School, fifth and sixth grade from Kennard Intermediate as well as the seventh and eighth grade from the old Centreville Middle went to the new Centreville Middle School. Kennard finally became the Kennard Annex of the Queen Anne’s County High School – just for 9th graders. The old high school building, which was leased to the alumni association, for 99 years, by the County Commissioners in 1996, remained vacant for 40 years until restoration construction began in 2010. In 2012, the Kennard Alumni Association purchased the property from the county, for $1, and is now its sole owner. Upon completion of the restoration process, the building was renamed the “Kennard African American Cultural Heritage Center” (KAACHC). It is estimated that over 2500 youth and adults will be served annually by the center’s programs. The restored high school and museum provides a window into the rich history and heritage of African American culture on Maryland’s Eastern Shore. The museum replicates the school’s original science classroom and will be a permanent exhibit with text panels, recorded audio/video histories, and artifacts donated by former staff, students, and community. Click on the photo to the right to open the restoration photo gallery. The Kennard Alumni Association is a 501(c)(3) nonprofit established to carry forth the proud heritage of Kennard High School, Queen Anne’s county’s first and only secondary school for African Americans. We strive to be a stepping stone for youth in our community and to engage them to continue this proud heritage through programs in education and cultural arts and through scholarship assistance. With the help of our members and the community at large, our goal is to enable the old high school site to be a learning resource for generations to come. The Kennard Alumni Association, Inc. is extremely proud of its heritage and the history of Kennard High School. Its graduates and attendees represent the best of two generations of proud African Americans that contributed to the growth of this county, state, and nation. We are truly proud of the school’s restoration and the creation of the Kennard African American Cultural Heritage Center and Museum. We are seeking those that would join us, by becoming a member ($25 per year) or volunteer. Your time and talents are necessary if we are to fulfill the vision of this 501(c)3 Non-Profit. Your tax-deductible donations, and your presence at our community and fundraising events, are also greatly appreciated. You are also invited to attend our monthly meetings on the second Saturday of each month (except August), at 10am at the KAACHC. Contact us today and we would be happy to answer any questions you might have.